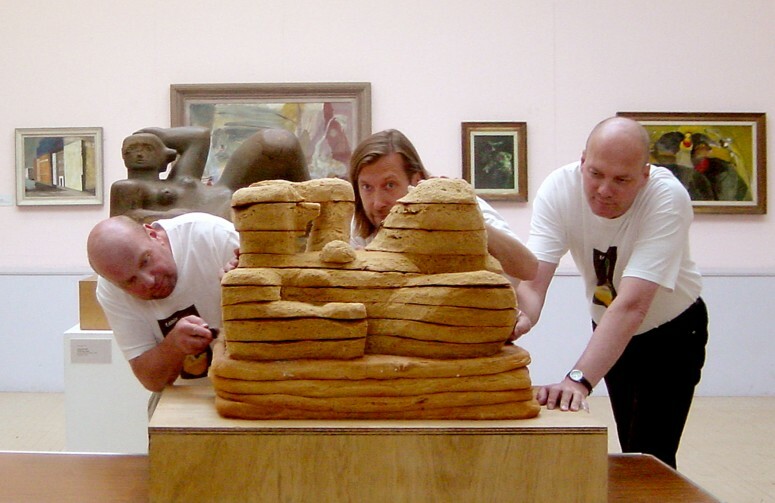 The Edible Finns were invited to do an eating performance on the opening party of the Henry Moore Institute’s 10th anniversary exhibition. Henry Moore was known for his vital sculpture, a form with a strong inbound energy. 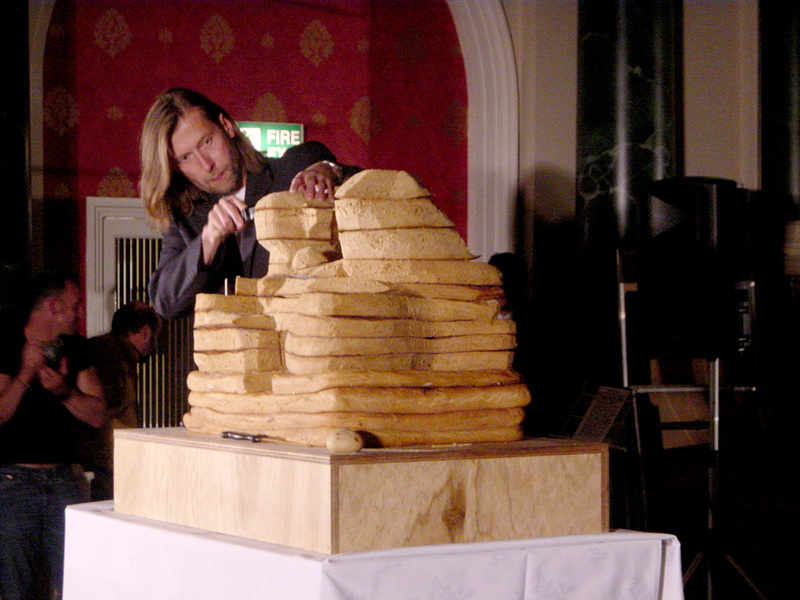 For the performance, which took place on September 27:th 2003, The Edible Finns made a very vital Moore sculpture made of dark bread reminiscent of sand stone. 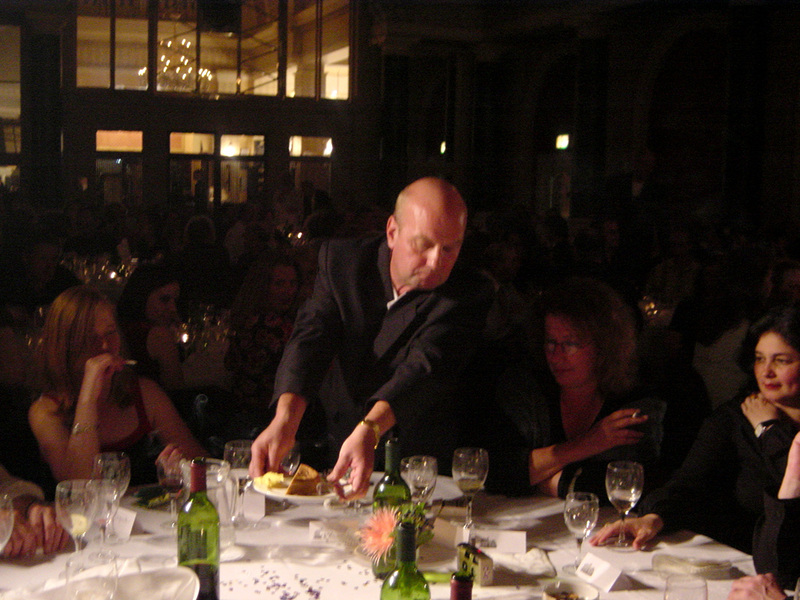 They cut small parts of the sculpture and served them to the audience together with a piece of ice and butter. 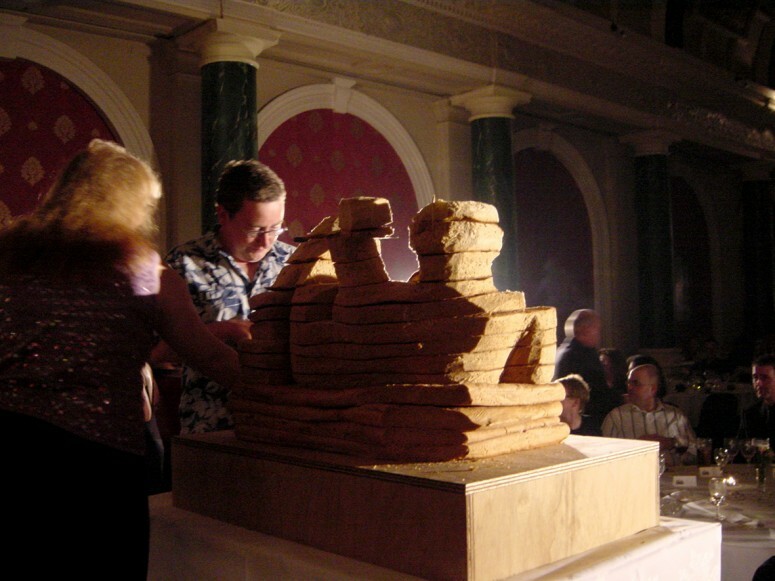 People from the audience interacted and ate a part of the sculpture. Besides being a humorous honour to the Art of Henry Moore, the performance also points towards an art which is as ”clean” as possible. The edible sculpture is recycled in the stomachs of the participants.